Insane road - drive your insane car across a postapocalypse desert full of various obstacles and hordes of horrible zombies. 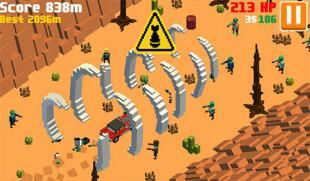 Randomly generated tracks and unusual cars are waiting for you in this Android game. Step on the gas and speed up your car to maximum. 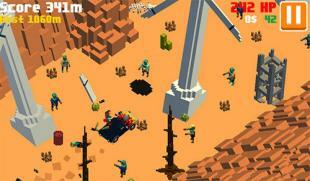 Maneuver among ruins, rocks and zombies. 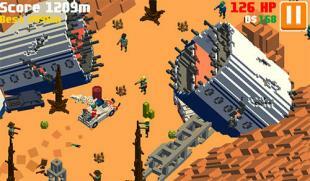 Avoid crashes against obstacles, escape from zombies or destroy them. Try to cover maximum distance and set a new record. Buy armored offroaders, sports cars and other vehicles. Start Demons War as Little Ganesh the most lovable hero to save Heaven! Want to see that what the buzz about a highly addictive fun game is all about? ITS ALL ABOUT THIS GAME!